Additional photographs and scrapbooks highlighting Montgomery County’s local history are now available online. Many of these items share subject matter with other materials already on DigitalNC.org. Page 23 from the Marionette Scrapbook, featuring the January 1967 class. 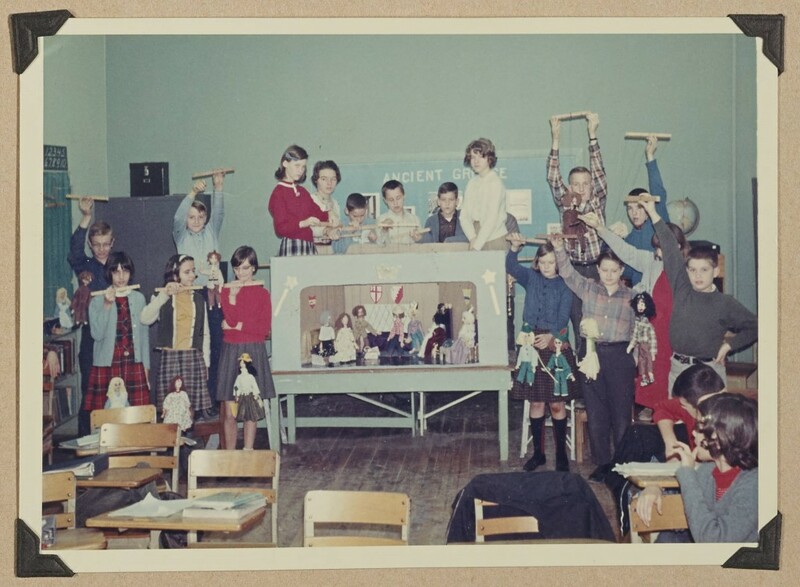 A new Marionette Scrapbook joins the already published 13 scrapbooks that belonged to Helen Poole, who taught the puppets class to sixth graders at Troy Elementary for several years. This scrapbook features photographs and performance programs from 1955-1974. Other new scrapbooks include Troy Music Club scrapbooks from the mid to late 1960s, Troy Civic Council – the 1971-1972 addition to already available Civic Council scrapbooks, Troop #243 Scrapbook, and a page from the Biscoe Woman’s Club: The Beginnings. 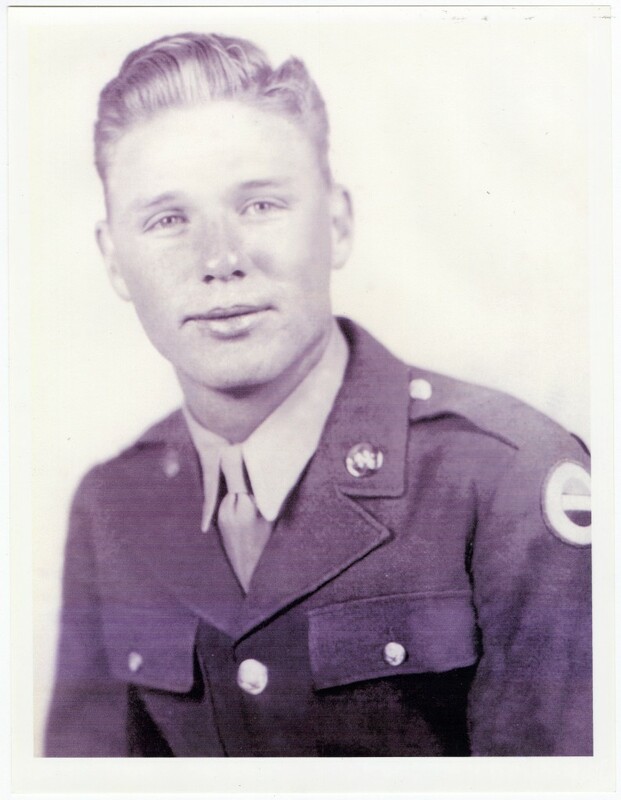 Several more Town of Biscoe Veterans photographs are now available, featuring servicemen and women from Biscoe, North Carolina and the surrounding areas. Other Town of Biscoe Photographs were added, which include historical buildings and businesses of Biscoe, North Carolina, and the photograph of Pallie Atkins and Willard Atkins who resided in the Love Joy community. Lastly, we have added annual reports, a scrapbook, and some other items to the Montgomery County Public Library digital collection. 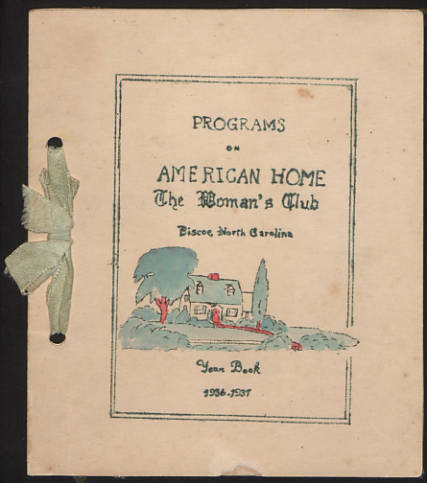 The Woman’s Club Year Books are annual reports for the woman’s club from years 1935-1936, 1936-1937, and 1948-1949. There’s also several items related to the Word Magic! workshops. Held at the Montgomery County Public Library, Word Magic! was a summer workshop led by poet Phillip Shabazz about reading and writing poetry to 14 Montgomery County fourth and fifth graders. The scrapbook contains general information about the summer workshop. The Word Magic! Poetry Booklet contains a collection of poetry created by the session’s students, and the newspaper article features a short overview of the program as well as pictures of its participants. To browse all of the materials from Montgomery County Public Library, please visit here.